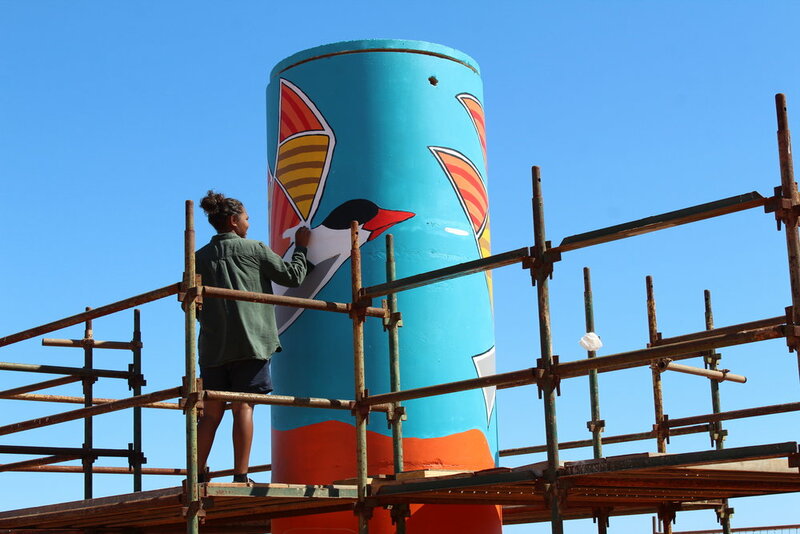 As part of the Water Corporation’s Splash of Colour program, artists Martha Lee and Kirra Watson were invited to create a mural on the intake tower at Broome South Wastewater Treatment Plant. MudMap Studio worked together with Martha, Kirra and the Water Corporation to coordinate this process. The artwork depicts the common birds seen at the wastewater treatment plan which is a popular birdwatching site. MudMap Studio’s role was to facilitate the design process and assist with the painting.